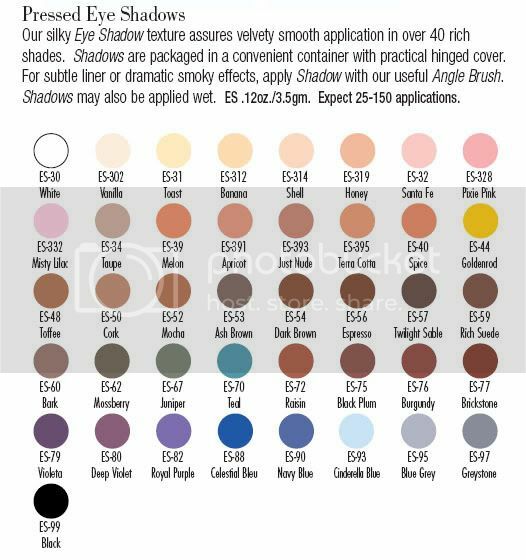 Our silky Eye Shadow texture assures velvety smooth application in 41 rich shades. Shadows are packaged in a "soft touch" container with practical hinged cover. For subtle liner or dramatic smoky effects, apply shadow with our useful Angle Brush. Shadows may also be applied wet. We are an authorized retailer for Ben Nye. All of our products are brand new, direct from our manufacturer. Due to your monitor settings, your actual color may vary. Your order is for one Press Eye Shadow. If you need more, please buy the quantity you require. Some shades may need to be special ordered. ES-70, ES-77, ES-79 are discontinued by the manufacturer.